Last Thursday, one of my 5:30am CrossFit Central workout buddies gave me this wonderful book you see to the left! It is filled with tons of recipes that can be Paleo-friendly with a few tweaks here and there. Adding your own special twist is half the fun of baking and cooking, right!? Anyway, last night I made the Eggplant Parmesan, omitted a few ingredients, added a few, and the result was delicious. I’ll post the recipe below, but if Eggplant Paremsan isn’t your thang’ and you are still interested in switching from regular flour to using almond flour I highly recommend adding this cookbook to your collection and checking out Elena’s Pantry. 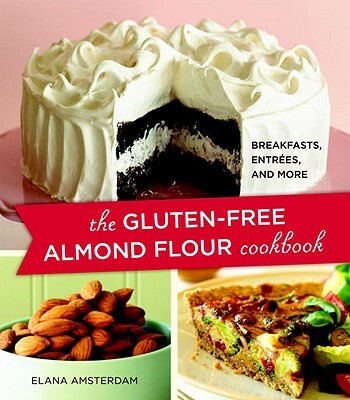 Oh, and if you’re thinking, “Why almond flour?” or “Yeah, but that’s gotta be fattening” well read Elena’s explanation, it’ll open your eyes to the benefits of cooking and baking with almond flour. Cut eggplant into 1/4 in. slices. In medium bowl, combine almond flour and salt. In separate bowl, whisk together eggs and water. Dip the eggplant slices in the egg mixture, then coat with the almond flour mix. Heat the grapeseed oil and olive oils in a large skillet on medium-high heat. **I used organic olive oil Pam instead and it worked just fine** Saute’ the eggplant for 3-5 minutes per side, until golden brown. Meanwhile brown the meat in a large skillet. When the meat was almost finished, I added chopped mushrooms to the mix. Pour 1 c. of tomato sauce in 13×9 baking dish. Layer the eggplant over the sauce, then spread 1/2 meat over the eggplant…cover the meat and eggplant with 1 c. sauce, repeat layers of eggplant, meat, sauce. The last layer should be remaining tomato sauce and cheese.